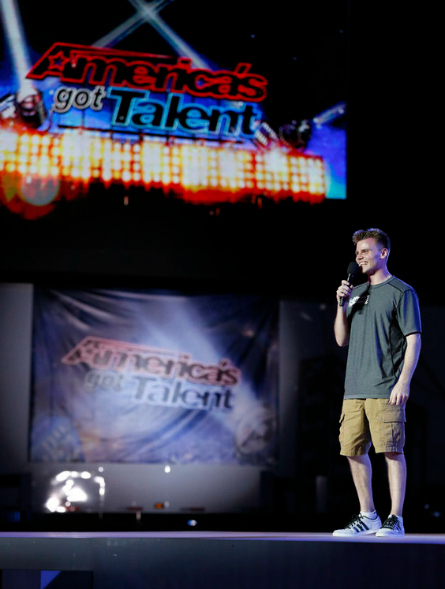 The judges and host of “America’s Got Talent” got some real treats in week six of season 10 auditions as well as some unexpected acts performing for a chance to advance to the Las Vegas round and go to the live shows at Radio City Music Hall. Some real stunners this episode included two very gifted singers, a youthful yet wise comedian. 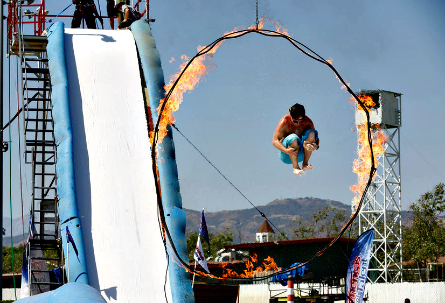 The “Extreme Auditions” returned in this episode showcasing some of the best thrill-seekers in America. Some of which included children. 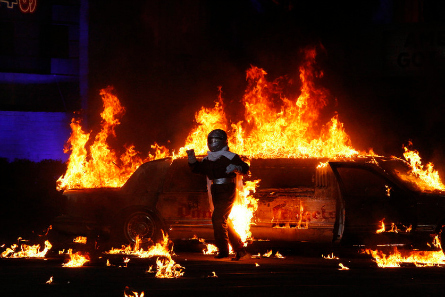 Impressive stunts ranged from acrobatics on the backs of horses to escaping a fire blazing car. One not so dangerous audition consisted of kids navigating a super-duper water slide as they threw themselves through a ring of fire. 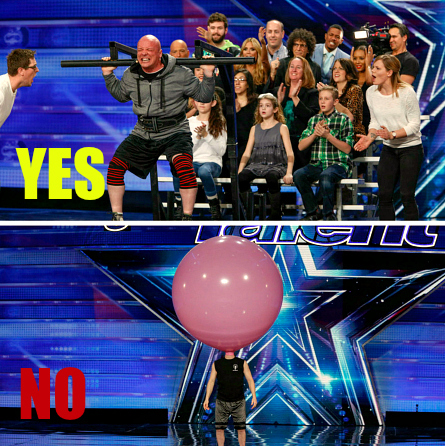 One memorable audition that made the judges hit their X’s was a strange huge latex bubble act. 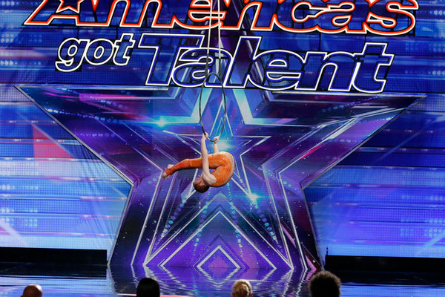 “America’s Got Talent” got this import from Japan. They’re called “Enra” and spoke very little English. Their audition was a stunning visual dance act. Made-up of two young women, one of which is a former Miss Universe Japan finalist, they were accompanied by their interpreter and producer. Howard responded, “Elegant, beautifully done. Heidi said it was “innovative.” Mel B. also said beautifully done. Howie said “yes” to them in Japanese. 26 year-old Samantha sang classic Aretha Franklin “(You Make Me Feel Like) A Natural Woman” song. Heidi responded that Samantha “has a gift” and can sing. 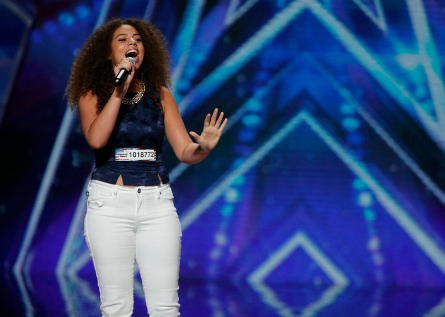 Mel B. loved how her voice opened-up in the chorus. Howie said she sang like a “super natural woman.” Howard said she did the exceptional tonight and was terrific. Silvia and Victor are the parents of Paul Ponce. 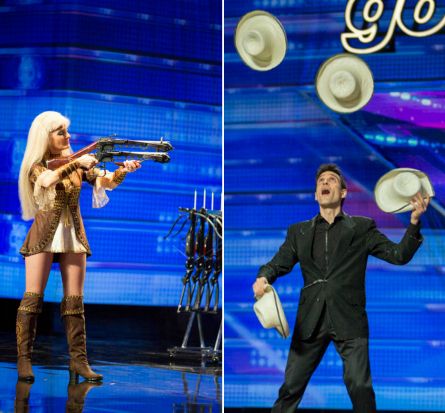 Her audition consisted of shooting arrows at balloons posted on a contraption while her husband stood behind it. She said if he won that she would give the money away to donate to charity. 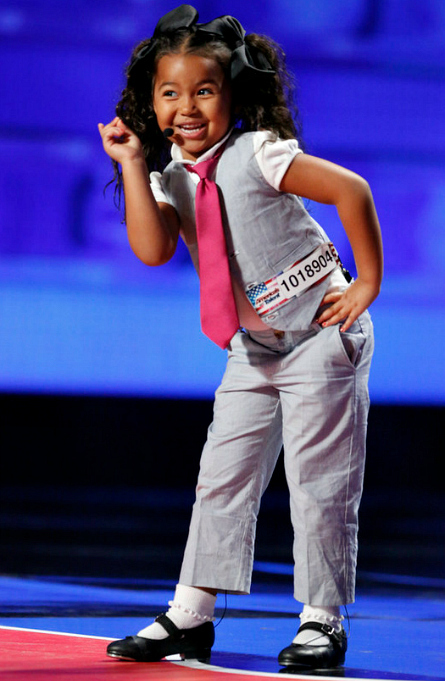 Heavenly’s talent was Broadway singing and tap dancing. She had a strong voice on her and got a standing ovation Shirley Temple came to mind during her audition, which is who Howard was also thinking of. Howard reacted “kid, you’re going places,” and told her that Shirley Temple is living somewhere inside of her. She quickly responded, “not Shirley Temple, but Jesus.” Heidi sad “America will fall in love with you.” Howie said they already are! After this guy strained himself to lift all four judges on bleachers along with a few other people, how could they say “no”. His novelty act will be going through to the Vegas round. Others who attempted to garner “yes” votes from the judges with unusual acts, were not as successful. One of them being “The Rope Warrior” who did some odd things with a really big balloon! They all started on fiddle at age four. They work at their dad’s tire shop where they practice music. They put their bluegrass music twist on “Counting Stars” song by One Republic. Howard said although he doesn’t’ like bluegrass, they are great to look at and great to listen to. Mel B. Said it was “surprisingly great” and it all came together. Howie joked that “it was horrible” and gave them a “yes” vote. Leo said that inspiration for comedy comes from being a 15-year-old boy. He’s been doing stand-up comedy since he was 13-year-old. During his comedy routine, he called himself a ” mutant creature – part adult, part child.” Howie called him “a breath of fresh air.” Heidi said his jokes were “smart and witty.’ Mel B. said it was both awkward and funny. Howie loved everything that he did and said Leo will be a super-star in comedy. 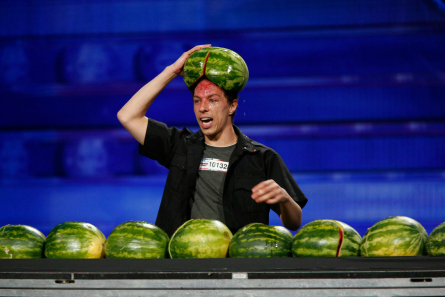 Trizzie, whom viewers may recognize from “Guinness World Records Gone Wild” on Spike TV attempted to break the world record for smashing the most watermelons with his head AGAIN. He needed to smash 45 watermelons in order to beat the record. After his stunt and one red/bloody forehead it seemed that he had split enough of the watermelons in half. But, there were no officials there to confirm it. Howard said Trizzie devoted his life to nonsense and can’t think of a bigger waste of time. 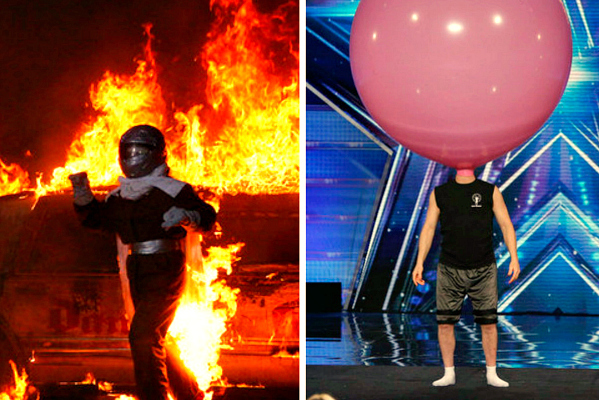 Mel B. said it was a little nuts, but she thought he got the world record and he did it. They consist of four brothers and one female neighbor. Their ages range from 6 to 16. 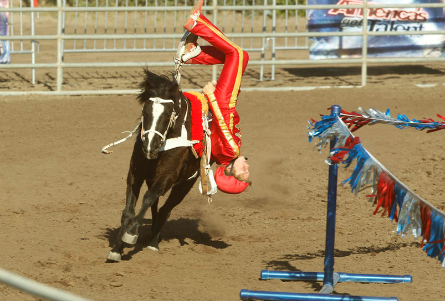 They do something called “trick riding” on horses. Their audition took place outside. “This is acrobatics in motion. I’m blown away” Howard reacted. Mel B said it’s a fresh flavor and called it unbelievable. Heidi said what they do is really difficult to do. Howard said “we’re looking for exceptional talent and something new and fresh.” He called them inspirational and loved them. Greg likes to jump off really high things. 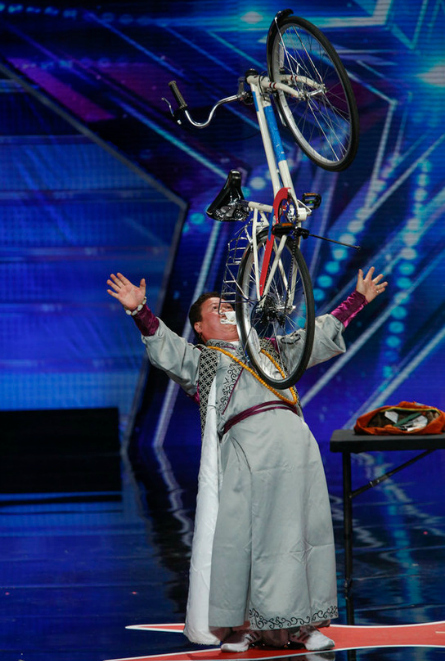 His stunt requires him to jump off a crane from 18 stories high and do a triple flip then land on his back. He said if he doesn’t land on his back, he won’t survive this stunt. The main danger is that the wind my pull him away from the landing cushion. After completing a successful stunt, Heidi told Greg that he “has some BIG balls.” Howard said there’s not a lot of people that can do that from that height and called him fabulous. Mel B. called him “genius” and commended him. Howie said he was scared to death.